In this article a pharmacist with experience working with bedside nurses in antimicrobial stewardship activities discusses what he has learned and the essential role nurses play in this field. Interview with: David R. Ha, Pharm.D. The field of antimicrobial stewardship has emerged as an important element in the fight against pathogenic microorganisms. It spans all health settings and is relevant to virtually all health care practitioners. As antimicrobial stewardship has evolved much of the focus has been on hospital-based interventions led by pharmacists and physicians. 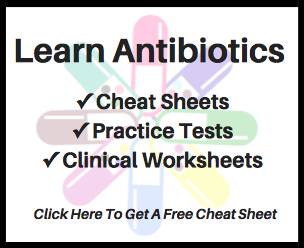 In more recent years there has been a growing interest in learning more about using antimicrobials smarter in non-hospital settings and the role other healthcare professionals can play as a part of the antimicrobial stewardship team. In turn, the role of the bedside nurse in antimicrobial stewardship has become an important topic of conversation. Staff nurses have been identified as critical towards antimicrobial stewardship  and leading organizations such as the American Nurses Association and the U.S. Centers for Disease Control and Prevention have weighed in on how nurses may engage in stewardship activities . However, there is still much to learn and it is important that efforts be made to continue to acknowledge the key role of bedside nurses in antimicrobial stewardship as well as share lessons learned from practice-based experiences. Ha, DR. Stewardship at the bedside: engaging front-line providers. Lecture presented at: Society for Healthcare Epidemiology of America Spring 2018 Conference. April 20, 2018; Portland, OR. Ha, DR. How nursing-driven ASP rounds advanced our program. Lecture presented at: Society of Healthcare Epidemiology of America Spring 2018 Conference. April 20, 2018; Portland, OR. Given the importance of this topic to the field of antimicrobial stewardship I reached out to Dr. Ha and requested an interview. He graciously accepted and the following was composed. While we acknowledge it may be perceived somewhat ironic to ask a pharmacist about nurses, given Dr. Ha’s recent experiences, he is clearly a credible source and is well positioned to deliver this information to a reader audience primarily made up of pharmacists and physicians. 1. What led you to work on a project engaging bedside nurses in antimicrobial stewardship activities? Two things: A primer and a trigger. My primer was working in inter-professional education activities through my faculty role at the KGI School of Pharmacy. In this role, I had spent the better part of a year working very closely with a fantastic group of faculty from schools of nursing, medicine, public health, physician assistant sciences and emergency medical services (paramedic). As a result, I became let us say, “hyper-aware” of interdisciplinary collaboration. Then, my trigger: In January of 2016, this article by Dr. Rita Olans was published in Clinical Infectious Diseases and a light bulb turned on in my head. I decided to add the article and the idea of engaging bedside nurses in our upcoming antimicrobial stewardship committee meeting. I invited all the nurses I knew well to that meeting and the rest was history. 2. Could you briefly discuss your project design and outcomes? We decided to pilot what we called “bedside nurse-driven antimicrobial stewardship and infection prevention rounds” on a 31-bed telemetry unit. It was an interdisciplinary rounds design led by our bedside nurses and attended by an infectious diseases pharmacist, infection preventionist and nurse practitioner. Nurses would present their patients to the rounds team if their patient was receiving any antimicrobial or acid suppressant therapy or had any invasive urinary or central venous catheters. We would discuss the necessity of any of those therapies as a team and, as appropriate, arrive at any recommendations. Recommendations could range from discontinuing or adjusting antimicrobial or acid suppressant therapy to IV to PO transitions to discontinuing invasive catheters. The nurse would then communicate those recommendations to the primary physician. In a 6-month analysis of these rounds, we found substantial reductions in acid suppressant utilization, urinary catheter utilization and C. difficile infection. 3. Through working with bedside nurses on antimicrobial stewardship initiatives, are there one or two big take home points you feel other pharmacists should be aware of? Definitely. The most important take home point to any pharmacist reading this would be to pause for a minute and seriously think about engaging your nursing staff in your antimicrobial stewardship activities. Know though that it does not have to be overwhelming. Start small. Find the nurses you know; perhaps that you already work with and pitch an idea. See what you can come up with together. What we did at my hospital is one way but we need more people to experiment with different practices to determine which ones are the most effective in a variety of care settings. 4. Is there anything that surprised you about engaging with bedside nurses in antimicrobial stewardship activities? I was surprised at just how effective our nurses became in their assessments, how empowered they seemed and how beneficial it was to our antimicrobial stewardship program. I remember the first day of our rounds, when asked what the indication was for their patients’ antimicrobial therapy, many nurses would simply say “sepsis”. Within a few weeks, nurses were identifying specific infectious sources, articulating the bases for infectious diagnoses, assessing microbiology data, and using our hospital antibiogram. It is now routine that a portion of the cases we review for formal audit and feedback with our infectious diseases physicians comes from rounds with our nursing staff. 5. What elements of your project do you consider to have been vital to it’s successes? There were several. One thing that surprises some people when we talk about our program is that it took us six months to launch it. In those six months, we took the time to make sure we had buy-in and stakeholders from all three of our nursing, pharmacy and infection prevention departments and we aligned the goals of our pilot to institutional priorities at our hospital. Our information services created customized reporting and tracking tools and we trained our nurses with what to expect before launch. Finally, and most importantly, we had a staff nurse champion who could work directly with our nurses on a peer-to-peer level and she was involved top-to-bottom with design, training and continuous quality control. 6. How do you envision the role of bedside nurses in antimicrobial stewardship evolving in the years to come? I see nurses becoming core players in creating a culture of antimicrobial stewardship in their institutions. They are perfectly positioned to prompt discussions with providers about antimicrobial therapy, stewardship of diagnostics, allergy assessments and other relevant issues as well as providing patients with education on antimicrobial stewardship and resistance. To do this they will need the support and guidance of the people that currently lead and inform antimicrobial stewardship efforts, namely infectious disease pharmacists and physicians and infection preventionists. That support however, starts with believing that nurses can make a difference so we will continue to take every opportunity to spread the word on the important role of the bedside nurse in antimicrobial stewardship activities. 1. Olans RN et al. The critical role of the staff nurse in antimicrobial stewardship—unrecognized, but already there. Clinical Infectious Diseases. 2016; 62(1): 84-89. 2. American Nurses Association and Centers for Disease Control and Prevention. Redefining the Antibiotic Stewardship Team: Recommendations from the American Nurses Association/Centers for Disease Control and Prevention Workgroup on the Role of Registered Nurses in Hospital Antibiotic Stewardship Practices. Published 2017. I would like to express my gratitude towards Dr. Ha for taking the time out of his busy schedule to complete this interview and share information on this important antimicrobial stewardship topic. I would also like to thank Dr. Ha’s research team for their important work and for bringing more attention to the critical role of nurses in antimicrobial stewardship. David R. Ha, Pharm.D., is an assistant professor of clinical sciences in infectious diseases at the Keck Graduate Institute School of Pharmacy in Claremont, California, and an infectious diseases pharmacist at Pomona Valley Hospital Medical Center in Pomona, California.